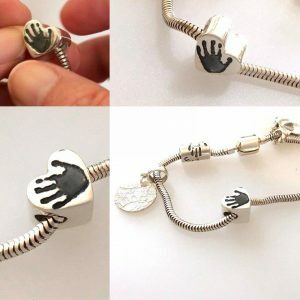 These handmade pure silver charms are the perfect way to showcase your loved ones hand or footprints, fingerprint or paw print. 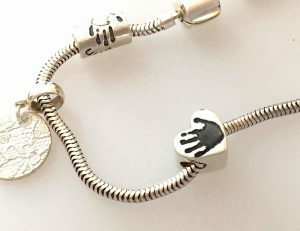 Pawprints can be done the same options as a mini print can. Choose a heart or a circle. 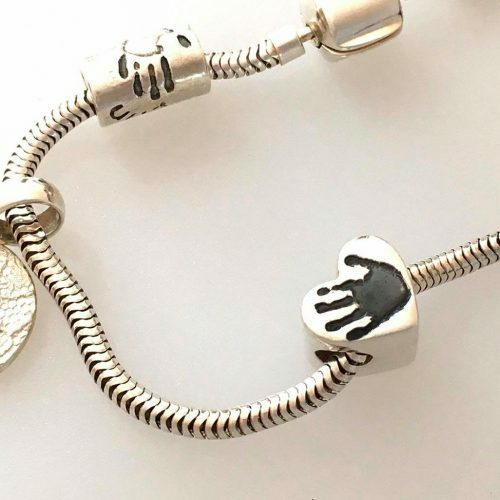 Your unique charm print is embedded into your silver charm. 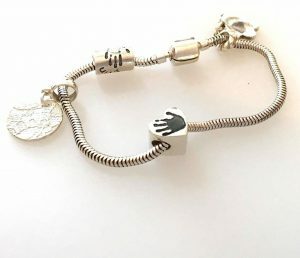 These are more suitable for everyday wear than the engraved range I offer, but if worn every day they may become scratched/worn more quickly as bracelets do get more bumps and bashes than any other jewellery we wear! Taking it wherever you go, showing the world how proud you are of YOUR impressive little person. 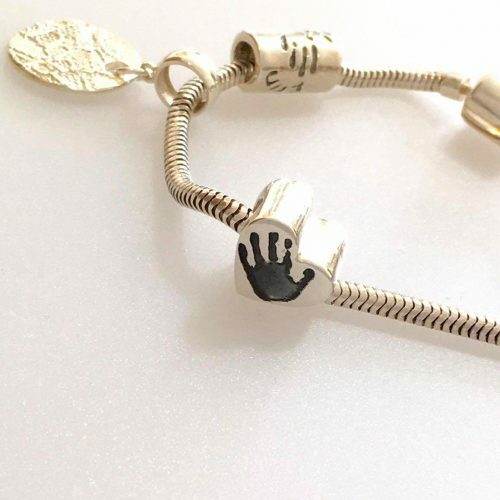 It makes a bespoke keepsake, while capturing a unique memory of those little hands and feet. 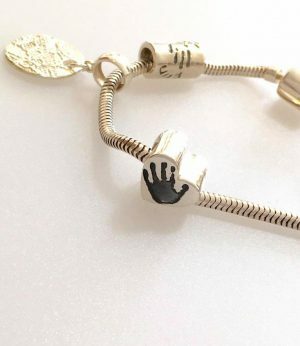 They don’t stay little for long, do they?Imagine being able to keep YOUR child’s hand or foot print on a personalised keyring? 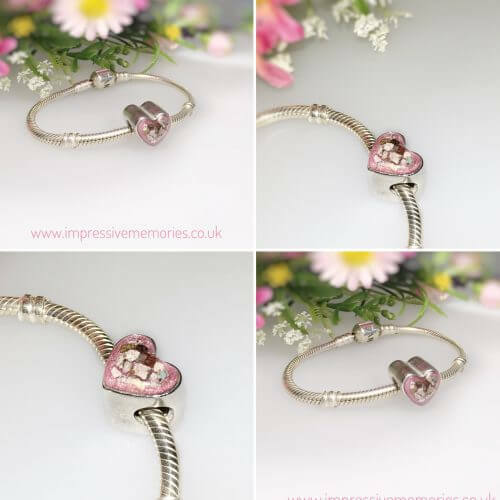 Why not treat an Impressive Mum? 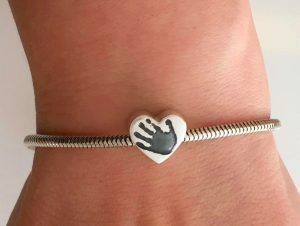 Hard working Mums who miss their little ones? Take a little piece of them with you, wherever you go! Perfect from birth onwards (miniprints)…mess free – easy & fun to do. 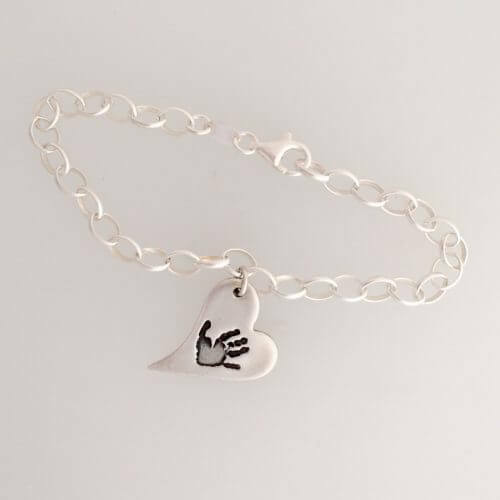 Can have hand print, foot print, fingerprint & pawprints! Mini Prints are created by using inkless wipes. 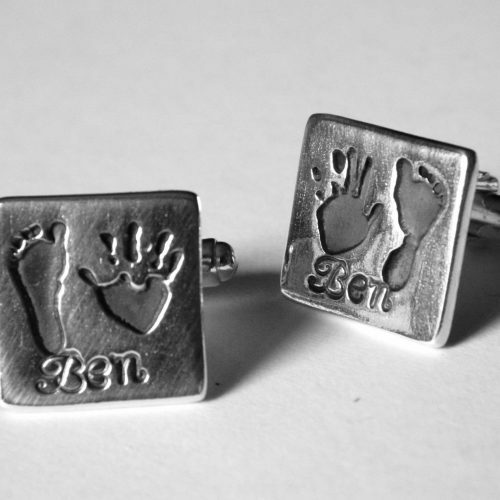 These take a detailed image of the handprint and/or footprint, they are non toxic, mess free and easy to use. 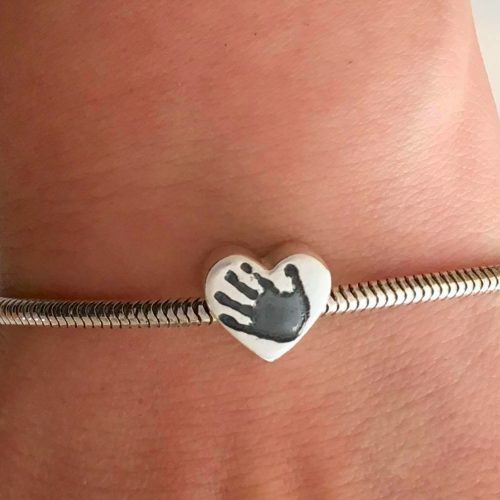 If you choose to order this by post, your kit will contain a special inkless baby wipe and a sheet of sensitised paper, just wipe the hand or foot and press it down – it’s that simple! The wipes are used by hospitals to take children’s hand and foot prints and are not toxic or harmful in any way. Once you have taken the prints, you can post them back to me, or if you have a scanner you can scan and email them back – If you prefer to make an appointment with me, I can do all this for you. You are more than welcome to do so. 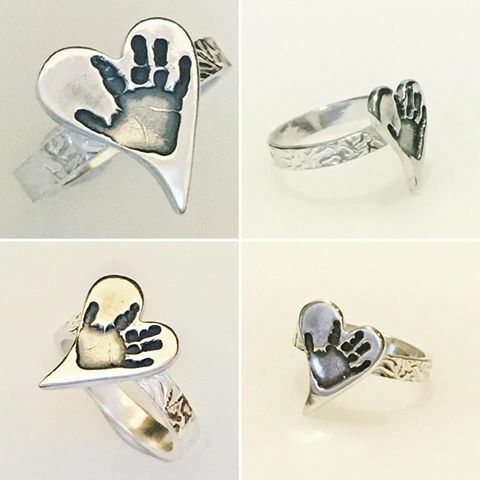 Fingerprints can be taken from children 12 months and older, there is no maximum age limit – adults have much clearer more defined prints than children, but we all develop fingerprints at different stages and it may not be entirely suitable until older than 12 months. 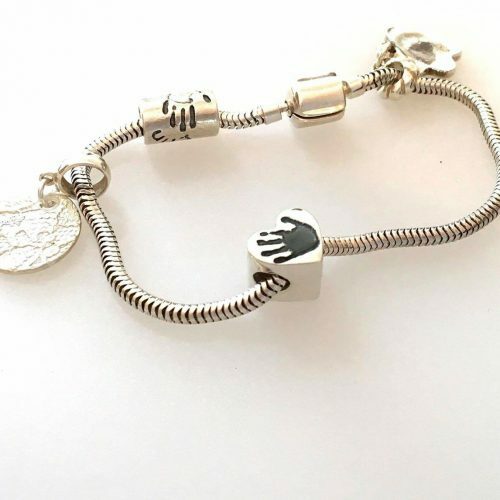 Message me first and we can have a chat about this before ordering. 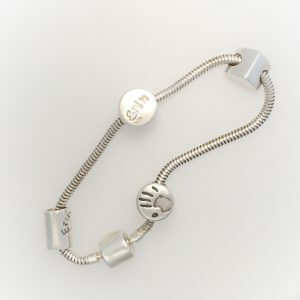 Paw prints too…I have a good methos to capture these – drop me a message! Memories this Impressive need to be remembered!